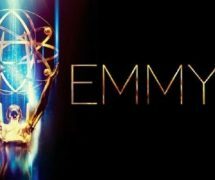 The 67thPrimeTime Emmy Awards 2015 took place on September 20th 2015 and what an exciting evening it was. There was great successachieved, records were broken and history was made as the best of US televisionwas celebrated. Let’s recap some of the evening’s highlights! 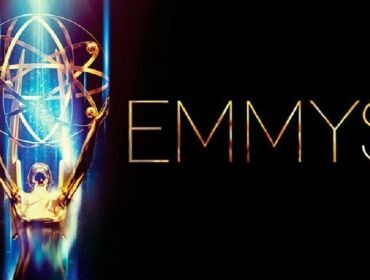 As anyone knows it’sbeen a hugely successful year for American TV – particularly with the increasingpopularity of shows such as Game Of Thrones, Mad Men and Orange Is The New Black,all of which achieved great success alongside many other deserving nominees atthis year’s Emmy’s. Game Of Thrones, theHBO network’s most popular show, scooped up a total of four awards including theaward for Outstanding Drama Series, Outstanding Supporting Actor in a DramaSeries (Actor Peter Dinklage), Outstanding Writing for a Drama Series, andOutstanding Directing for a Drama Series. HBO also tipped thetop with the success of their comedy, Veep, their miniseries, Olive Kitteridge,and their movie, Bessie. Winning categories such as Outstanding Comedy Series,Outstanding Supporting Actor in a comedy, Outstanding Miniseries, OutstandingWriting and Directing for a Limited Series, Outstanding Lead Actor (RichardJenkins) and Lead Actress (FrancesMcDormand) in a Miniseries. Bill Murray’s appearance in Olive Kitteridge alsowon him an Emmy. With the movie, Bessie, also winning the Outstanding TelevisionMovie Award. That meant that the HBO network ended the night with a massiveaccumulation of 14 awards. Breaking a record for the most awards won in onenight. Other worthy winnersinclude the likes of Jon Hamm who finally won the award for Outstanding LeadActor for his portrayal of Don Draper in Mad Men, after seven previousnominations. The award forOutstanding Lead Actress in a Drama Series went to Viola Davis, who has madehistory with her win, being the first African American lady to win an award foroutstanding lead actress in a dramaseries. Her speech shone a light onto the fact that there is still a shortageof opportunities in the industry for African American actresses like herself,she is quoted saying: “You cannot win an Emmy for roles that are simply notthere.” This was one of the most spoken-about speeches of the evening as sheshowed her gratitude for the acknowledgement of the award by making astatement to prove that this was just the beginning of a future where moreAfrican American actresses are given the opportunity to reach the fullest oftheir potential. Uzo Aduba, best knownfor her portrayal of Crazy Eyes in the U.S. hit, Orange Is The New Black, tookaway the award for Outstanding Support Actress in a Drama Series. Orange Is TheNew Black only recently made the switch from being a comedy to a drama, so itreally is a big achievement to get that recognition considering the recentswitch in genres and categories. The popular talk show,The Daily Show, also had great success, having won three awards for OutstandingVariety Talk Series, Outstanding Writing for a Variety Series and OutstandingDirecting for a Variety Series. Jane Lynch wonOutstanding Host for a Reality or Reality Competition Program, and the NBCSaturday Night Live 40th Anniversary Special won the award forOutstanding Variety Special. All this year’snominees, and winners, deserve all the recognition they’ve got. It’s been agreat year for Emmy Success, Emmy History and Emmy records. And now we lookforward to what success next year’s Emmy Awards will bring to our screens. Inthe meantime we shall emerge ourselves fully in the vast choice of developingAmerican Series, and remain in awe at the outstanding talent that they continueto produce. Video Game Voice Acting Strike: Does Performance Matter?